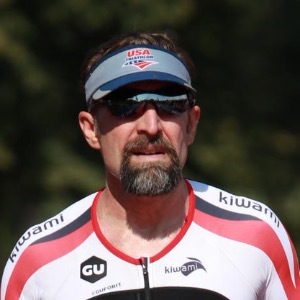 I provide individual coaching services that includes nutrition and training plans for runners, cyclist, triathletes, and active individuals looking to improve their overall fitness. Nutrition services include weight management coaching, tailored nutrition for training, and specific nutrition needs for competition and races. Originally from Vermont, where I spent most days as youth outdoors in the mountains hiking and camping. I ran track and field in high school, and then enlisted into the Marine Corps immediately after graduation. I spent 20 years on active duty where I was a martial arts instructor trainer, Marine Corps Drill Instructor, subject matter expert for combat conditioning, and ultimately fell in love with endurance sports. I found Obstacle Course Racing was very similar to what I did in the Marine Corps, just a little easier and less danger involved. For a few years I raced various distances from 5k and mud runs to Marathons, utlraraces, and Worlds Toughest Mudder. As a triathlete, I have raced at the USAT Age Group National Championships in 2016 and 2017, as well as 70.3 and Ironman distances. While I was active duty I coached and trained hundreds of athletes in endurance sports and martial arts. I retired from the U.S. Marine Corps in 2017, and completed my masters degree in Family and Consumer Science with a concentration in Health Communication, and a dietetic internship. Now I own and operate Top Nutrition and Performance, a veteran owned business located in O'Fallon, Illinois that specializes in evidence-based nutrition counseling and sports performance coaching. Success. Coach Ken Roberts, MA, NDTR, ACE-CPT has been notified of your message.